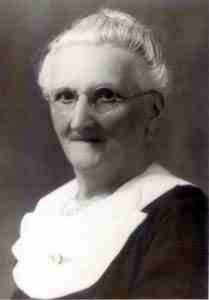 My great-grandmother, affectionately known as Lena, was born Helena Elisabeth Antoinetta Entink on January 17, 1860 in Maastricht, Limburg, Netherlands to her unwed mother, Elisabeth Antoinetta Entink. Three years later, her mother married Jan de Reus on January 1, 1863, and Helena, thereafter, would use her stepfather’s surname of de Reus. My review of various Dutch archive records indicate her stepfather moved the family from Maastricht, Limburg to Klundert, Noord-Brabant (his place of birth) sometime between March 1867 and September 1868. Klundert is a small provincial city just 5 miles northwest of Zevenbergen where my great-grandfather, Johannes Reijst, lived. In her marriage to Johannes (later known as John C. Sr.) Helena would give birth to a total of 8 children, 4 while in the Netherlands and 4 later after arriving in Detroit, Michigan. Dutch archival records indicate the birth of 2 children, a boy and a girl, between the ages of my grandfather, Cornelius, and his younger brother, John. However, I have been unable to locate any records of death for either Johannes Jacobus, born December 18, 1886, and Pieternella Jacoba Ardina, born April 14, 1888. So I am uncertain whether these 2 children died prior to leaving the Netherlands or in route to America, as the ship’s manifest only shows 2 children upon arrival in the port of New York City in March 1890. These 2 additional births are substantiated by information recorded in the US Census of 1900. My mother remembers Lena as a petite woman, who usually wore her hair up in a tight bun. Around family I am told she was most comfortable conversing in Dutch, although US Census records from 1900 to 1930 indicate that she could speak English. So apparently, my father, Arie, at least understood the Dutch language as it was frequently spoken among his grandparents and their siblings. Also according to the US census records from 1900 to 1930, Helena did not work outside the home. But she did take in lodgers after her husband’s death as the 1930 US Census shows 2 lodgers; one of these lodgers would eventually marry her younger daughter (a surprising discovery that I was able to piece together from my parents’ wedding album). Lena died at the age of 87 on March 25, 1947 in Detroit, Michigan from hypostatic pneumonia and chronic myocarditis (inflammation of the heart muscle after an acute bacterial infection) in addition to arteriosclerosis (hardening of the arteries). She was interned in Gethsemene Cemetery in Detroit (located on Gratiot Avenue near Conner Street). Her death certificate indicates that Lena had not been well for the 5 years preceding her death. Due to her chronic myocarditis she may have suffered from a chronic cough. Even more interesting was the fact that she died at my grandmother’s house at 7422 St. Thomas Street according to her death certificate, and that her usual address at the time of death was also 7422 St. Thomas Street. I was unaware that she resided with my grandmother, her daughter-in-law, following my grandfather’s death in 1944.